Trade, sell, and buy used and new bicycle parts at the 400 West Rich Farmer's Market! Hey Cycling Friends. Just wanted to let you know that Franklinton CycleWorks' third annual Swap Meet is coming up on August 24th. I know most of you have lots of parts, gear and accessories lying around. I also know most of you are currently looking for a particular part to complete a project. The Swap Meet is a perfect place to either clean out or switch up your inventory. I know many of you also have some fantastic bicycles. Share them with the city by showing them off at the swap's Ride In. You'll be able to display your bike on a show floor and talk with other enthusiasts about what you love most; bicycles. 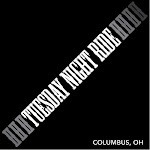 Ride In (Bike Show) Registration is $5. The event itself is free. All proceeds go to Franklinton CycleWorks, a 501c3 non-profit, serving the neighborhood of Franklinton and the city at large by helping folks maintain and repair their bicycles. Email Jonathan at info@franklintoncycleworks.org to register.